WSTRN is a West London-based collective consisting of Akelle Charles, Haile and Louis Rei. Their debut single, "In2", was released on 13 October 2015 and peaked at number 4 on the UK Singles Chart. Louis Rei is formally known as LB and is associated with Dappy, Akelle is formally known as A star and is Angels Blood Brother and Haile's cousin. Haile has featured on many tracks and hit track Nines ,Can't Blame Me'. 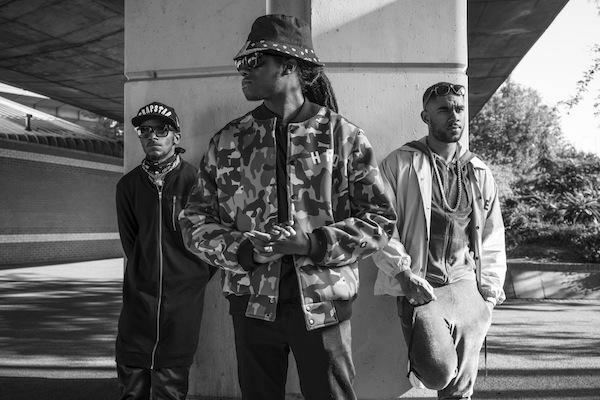 WSTRN consists of Akelle Charles, Haile and Louis Rei. The name bears no relevance to westerns; according to the band, the name represents positive vibrations and to them means that it is "West London's turn to shut down the scene". Akelle and Haile are cousins who know Louis through their inhabitance of West London, while Akelle is the brother of singer Angel and was part of a band with him and his three other siblings called the Charles Family, co-managed by the late reggae singer Smiley Culture and Akelle's father, Tendai Charles, who was in the same reggae group as Haile's father. The group failed to achieve mainstream success despite being the subject of a BBC documentary One Life.